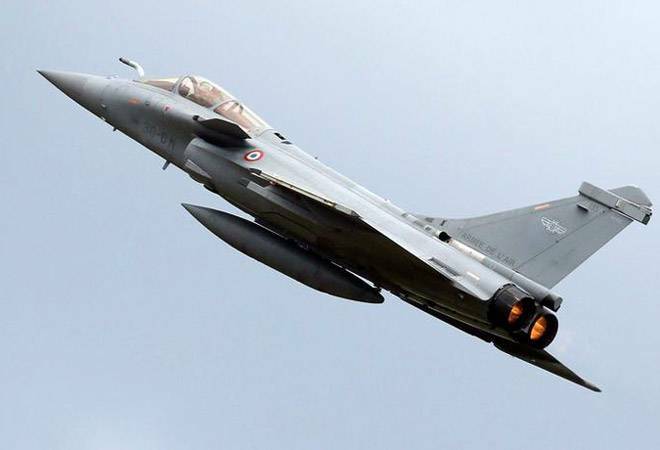 The French embassy in New Delhi quickly denied Pakistani pilots were trained to fly the Rafale aircraft for the Amiri Air Force. Reports of Pakistan Air Force pilots being trained to fly the latest Rafale fighters for Qatar's Amiri Air Force may have been highly exaggerated. In a February 13 report about the handover of the first Rafale to Qatar, the independent media company Aviation International News had mentioned in passing: "The first batch of pilots trained for Qatar in November 2017 were Pakistani exchange officers." Various Indian media outlets and commentators had latched on to the above sentence and claimed the Rafale's secrecy had been compromised and that the Pakistanis would now be able to devise strategies to tackle the aircraft when the Indian Air Force inducts it later this year. However, the French embassy in New Delhi quickly denied Pakistani pilots were trained to fly the Rafale aircraft for the Amiri Air Force. Referring to the AIN story, Ambassador Alexandre Ziegler said: "I can confirm that it is fake news." On February 6, AIN's freelance reporter Jon Lake had covered the news when Qatar got delivery of its first Rafale fighter jet in a grand ceremony attended by the Qatari Deputy Prime Minister among other senior officials. The Gulf country has signed a euro 6.3 billion agreement for the supply of 24 fighters. In order to get to the bottom of the story, I emailed AIN Executive Editor Marks Phelps about the veracity of Lake's report, considering the French envoy had described it as "fake news". Phelps replied: "I've been in touch with our Defence Editor, and he told me he's removed the reference to Pakistan from the story, but provided this link to a report." The link provided by Phelps takes you to a website named WAFF - World Armed Forces Forum. Owned by Mike M, it describes itself as a "free speech forum which is now among the most popular on the internet". It claims to have "thousands of members from 140 countries". After my email, AIN removed the reference to the Pakistani air force officers from its story, indicating that it no longer trusts the authenticity of the source. Phelps also provided a link to an Arabic language website Youm7 (Seventh Day) from where WAFF had obtained the original information about Pakistani air force officers being trained in Paris to fly Rafales. This Egyptian website seems to be the original cause of the kerfuffle. The Seventh Day report, dated November 27, 2016, says "according to media reports" the Qatari government did not send Qatari pilots to train on the Rafale aircraft, but instead Pakistani two pilots were sent to Paris. According to Seventh Day, it is "aimed at the readership of the elite of Egypt" and produces "news and information with absolute credibility, depth of analysis, transparency in information". For all its bombast, it does not name the media it is citing from. I also contacted Lake on Twitter: "Regarding your report in AIN Online about Pakistani military officers trained to fly Amiri Air Force Rafales, the French ambassador to India says it's fake news. Any comments?" Lake responded: "I merely repeated the report on the Arabic language news website Seventh Day (Youm7) which was reposted on WAFF." Since Lake runs a website named Arabian Aerospace, he would have been scanning all sorts of websites in the Middle East, especially those related to defence and aerospace. London's The Guardian describes the Seventh Day as "one of Egypt's most modern news organisations" and its Editor in Chief Khaled Salah as "an unlikely jihadist". Writing about his experiences on his website the Egyptian says he "fell for the bait of extremist thoughts... I was ready to be martyred for God's Sharia". Salah has gone to prison several times for plotting the overthrow of President Hosni Mubarak "in order to free the Egyptian army to join the struggle to retake Jerusalem for Islam". An email has been sent to Cairo-based Seventh Day and a reply from Salah is awaited.